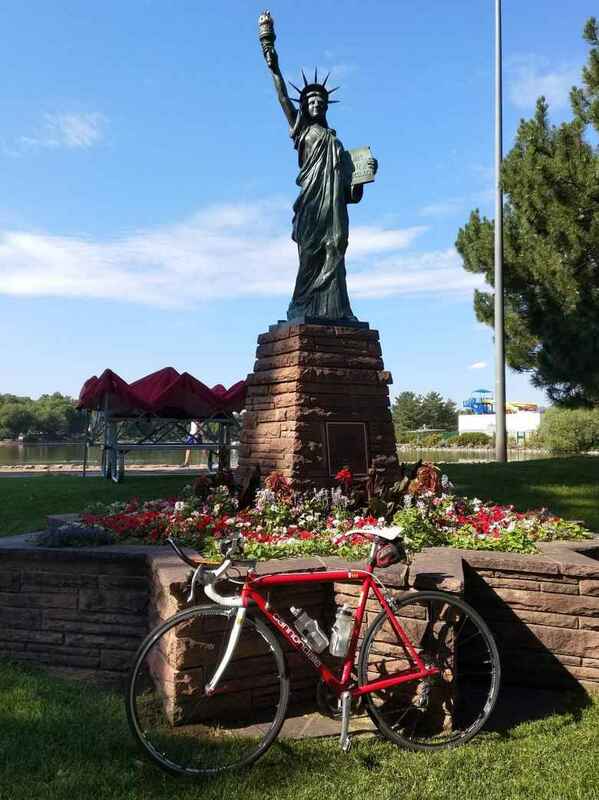 Not feeling quite in race shape to run in the annual Firekracker 5k, on this year’s Independence Day I pedaled the trusty Cannondale over to watch the speedsters in the elite divisional race followed by the Fort Collins Fourth of July parade a couple blocks over. Presumably, the purpose of the city’s procession was to celebrate the founding of the nation, boost civic pride, and represent local organizations and businesses. No doubt those objectives were achieved, but you could be forgiven if from watching the video I took below, you thought this was a classic car show. Or, based on the vintage of the automobiles, footage of Fort Collins from the 1960s. No complaints from this motorhead. Can you identify all the vehicles in the short movie clip? Fittingly, virtually all the cars and trucks in the parade were U.S. marques. There were also plenty of dancing girls too! Clearly, this was a fun, patriotic community event.